Sometimes, regular web hosting is not powerful enough for popular websites. Other times, regular web hosting provides too much power for WordPress sites. I have tried many hosting solutions—shared, VPS, dedicated, and managed WordPress—and I would like to share my thoughts and recommendations on managed WordPress hosting. When you want to tell someone else to do something on your server instead of doing it yourself, you need managed hosting. Most managed hosting providers can fix server problems, add new accounts, tweak caching, setup domains, merge databases, schedule backups, and more. Unmanaged hosting would be where you do this all yourself. 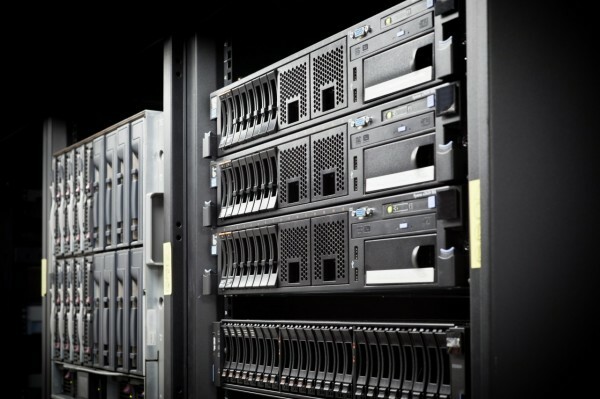 Usually, the only thing the provider will do for unmanaged hosting is restart a crashed server for you. What is special about managed WordPress hosting? A new trend among some web hosting companies is to offer a specialized hosting package designed specifically for WordPress. This managed WordPress hosting usually runs only the necessary server components for WordPress, and thus usually runs a lot faster that other servers. Commonly, managed WordPress hosting providers—like Flywheel and WP Engine—will power the PHP backend with entirely different software, which is usually Nginx instead of Apache. This makes a huge difference in speed as Apache contains so many pieces that WordPress doesn't need, but Nginx is a slimmer, faster way of running the web server. Managed WordPress hosting also often uses custom control panels and may have custom caching and CDN built in. The result is, generally, that a WordPress website will run faster on managed WordPress hosting than on almost any other standard platform—all without your spending hours to setup and configure a server. Because this hosting is focused on WordPress, the support team is often specialized for WordPress and can recommend plugins, tweaks, and other improvements to your WordPress site. Sometimes, they will even login and adjust things for you. I run a large WordPress Multisite for my podcast network. This involves more than 10 subsites with their own domains, dozens of plugins, and a massive bbPress forum on my Once Upon a Time podcast website—this creates a database larger than 2 GB. This large network also receives a lot of traffic—as high as 6,000 visitors per day and 750,000 pageviews per month. I outgrew shared hosting a long time ago. VPS and dedicated servers were getting expensive for the amount of power I needed. So I opted to try managed WordPress hosting. Within the last few weeks, I've evaluated other options, looking to save money—WP Engine, Synthesis, Page.ly, BlueHost, SiteGround, Linode, Servint, WiredTree, Pressable (formerly ZippyKid), MediaTemple, and Flywheel. Here are the core features I have been considering. In the coming weeks, I'll share my reviews of each service and why each may or may not be the best choice for me, but why they could be better for you. 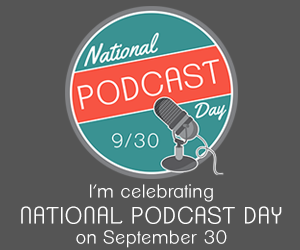 To celebrate this week's National Podcast Day, I'll take you inside my podcast app and show you every podcast I subscribe to and listen to regularly. When Apple released iTunes 4.9 on June 28, 2005, I immediately started looking for these new things called podcasts. I quickly fell in love with the medium and ditched terrestrial talk radio in favor of the niche topics I could listen to in podcasts. My podcasts subscriptions come and go, but I thought you'd like to see the list of podcasts I listen to as of September, 2014, in case you're looking for something new. Some of these podcasts have podfaded (no episode in six months), but I remain subscribed in hopes of new episodes someday. iOS 8 is out and it contains many features quite familiar to Android users. I used to be an Android user, and here's what I think of iOS 8 on my iPhone. I have cycled through many smartphone platforms. My first smartphone was a Palm Treo, then a Windows Mobile Treo, then a BlackBerry, then Android, and then iOS. I'm most content with the iPhone because the iOS platform gives me the best reliability and integration with the rest of my Apple devices. Before I share my thoughts, know that my exposure to Android was limited to two and a half years. I primarily use Gingerbread on a rooted HTC ThunderBolt. This trust was less necessary when I used Treo and BlackBerry devices with physical keyboards. But the jump to an Android phone made this more difficult. But I was familiar with trusting, so I quickly acclimated to a touchscreen keyboard. My mobile typing changed when I was introduced to Swype, the keyboard that allowed me to drag a single finger (usually my thumb) across letters to form words. Swype would intelligently understand words based on where I started, “bounced,” crossed over, and stopped with my finger. This drastically sped up my mobile typing and made it easier to write messages with only one hand. LastPass on Android also provided its own keyboard that could intelligently login to apps with my secure credentials (with randomly generated passwords). Then I switched to iPhone and I was back to a standard touchscreen keyboard. I learned to adapt again and trust iOS to understand what words I generally meant, based on possible combinations and the relative locations of each tap. It seemed that the more I trusted iOS, the faster I would type. Then iOS 8 supported alternative keyboards. After updating my iPhone 5 to iOS 8, the first app I installed was SwiftKey (I wasn't ready to spend 99¢ on Swype before knowing whether I would like the alternative keyboard experience). I immediately felt at home with SwiftKey's similar swiping method for typing. It was like a long-awaited relief. I enjoyed the experience so much that I actually wanted to type more on my phone, just to relish each quick moment of swiping instead of tapping. This felt like touchscreen home to me; it brings the thing I loved most about Android onto the mobile platform I love most—iOS. But this new feature isn't without its negative quirks. iOS 8 won't consistently activate an alternative keyboard unless I remove the standard keyboard. I have also noticed longer delays for the keyboard to show when I'm using SwiftKey instead of the built-in keyboard. I understand that it's essentially a new program to load, but I would like to see these miniature apps treated like startup items that remain in the system's memory. There is no LastPass keyboard yet, but I am seeing more 1Password integrations in apps. The second thing I loved about Android was the world of widgets. I had become quite familiar with widgets on desktop computers by installing third-party, cross-platform tools. This carried naturally onto my Android phone where I could place information or interactive widgets on any of my home screens. Once I rooted my HTC ThunderBolt and installed an open version of Android (I typically preferred LiquidSmooth, but also liked Gingivitis), I also had limited widgets in my notification area. I could toggle certain features like wi-fi or my flashlight. iOS 7 introduced the extremely helpful Control Center, which supported some system toggles, a flashlight, and quick access to a calculator, alarm/timer, and camera. This also brought the new Today screen, but no extensibility. Then iOS 8 offered developers the ability to place information and interactive widgets inside the Today screen. My favorite, so far, is Evernote, with its buttons to quickly create a particular kind of note. I also like using an alternative calendar like Calendars 5 or Sunrise when it supports the Today screen (I still prefer Google Calendar). Developers are getting creative with their Today-screen integrations. I also find these iOS widgets to be more consistently better designed than Android widgets. I'm highly active on social networks and one of iOS's biggest annoyances was that I couldn't share from any app to any network I wanted. I prefer Tweetbot over the official Twitter app, I prefer Buffer for sharing lots of messages to multiple accounts over time, and I like Google+. I also use a different email app and productivity apps like Asana and Evernote. Some iOS newsreader apps, like Mr. Reader or Feedly, would offer some of these integrations. But sometimes I wanted to share from a different app. This was all easy on Android because every app seemed to put something in the “Share” menu. So I could share almost anything to almost anything. iOS 8 finally opened up the sharing panel to third-party developers. I eager look forward to app updates to support tweeting through Tweetbot, sharing to Google+, queuing up something through Buffer, and so on. Last, but not least, the mobile browser is a high priority since many things go back to the Worldwide Web. Since I use LastPass for secure password management, I was at home with the Dolphin browser on Android. This has a quite seamless integration with LastPass to let me login to sites quite easily. iOS 8 opened up to browser extensions. Now, I can easily login to websites through either Safari or Chrome on my iPhone or iPad. The experience is much smoother, much more mobile friendly (with larger tap areas), and far more reliable. There are more, helpful browser extensions, such as viewing the HTML source. Yes, I realize that many of iOS's features have been inspired by either official or unofficial Android developments. I don't really care, anymore, about who came up with the idea first. I just care about which is the better experience and fits my needs the best. 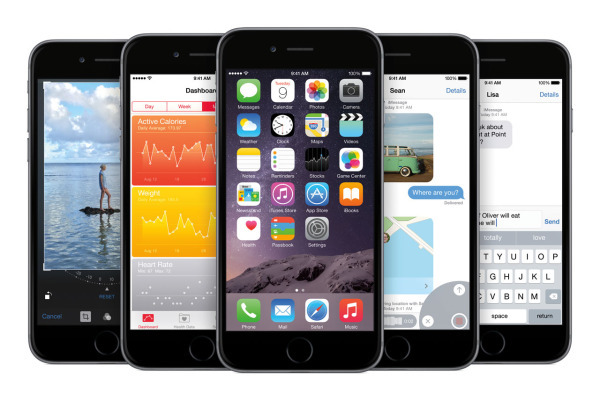 So if you are or were an Android user, what do you think of iOS 8? Does its approach to some features seem more desirable to Android's approach?